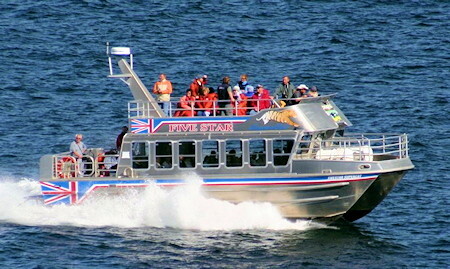 Five Star Whale Watching, Victoria, BC, Canada. 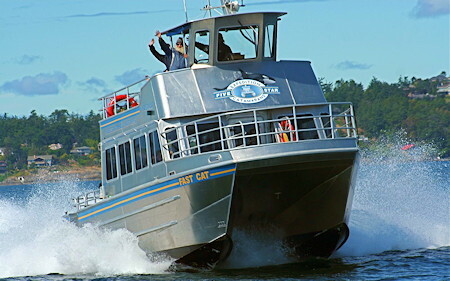 Victoria Whale Watching Tours. Vancouver Island & BC's Gulf Islands. Five Star Whale Watching, Victoria, BC. Whale Watching Expeditions in the Waters of Southern Vancouver Island and BC's Gulf Islands. Instrumental in establishing whale watching in Victoria, Five Star Whale Watching has been turning heads since 1985. 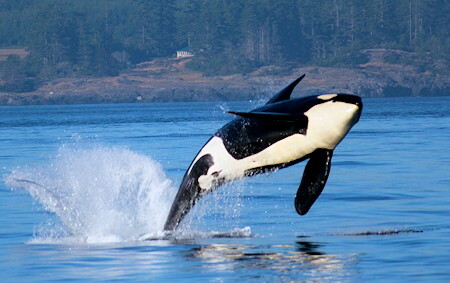 Five Star is a family business, and they are proud to offer you unparalleled service as you join them in discovering the picturesque West Coast of Canada, and Vancouver Island, home to one of the largest population of Killer (Orca) Whales in the world. 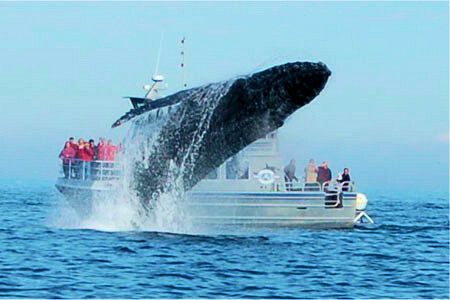 Five Star Whale Watching operates in the waters that surround Southern Vancouver Island, Victoria, and BC's Gulf Islands. Their crews are waiting to introduce you to these magnificent mammals and share with you the myriad of other natural wonders abundant in this pristine and complex marine environment on British Columbia's west coast. Why choose Five Star Whale Watching? Our hands-on owners are on-site to greet our passengers and ensure that you receive the highest standards and quality service. 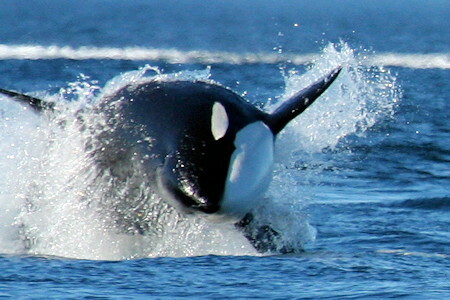 Five Stars owners also work with scientists and government agencies to train marine naturalists, educate the public, and develop viewing guidelines to ensure conservation and stewardship of these incredible Killer (Orca) Whales and the marine environment surrounding southern Vancouver Island, and the Gulf Islands. Our two purpose-built 40 passenger expedition catamarans each feature four separate viewing platforms, ensuring your ease of visual access to our abundant environment. Both SuperCat and FastCat are equipped with washrooms and weather-proof jackets are available as required. Complimentary coffee and hot chocolate are provided on every trip. At Five Star Whale Watching they love what they do and it shows. The experienced and well-trained staff will ensure your voyage is fun, educational and comfortable. They are knowledgeable and can answer all of your questions. The staff of Five Star are also entertaining which makes the experience that much more memorable. Come and see for yourself! During the months of April through October, salmon migrate through the area around Southern Vancouver Island on their way to the spawning grounds. 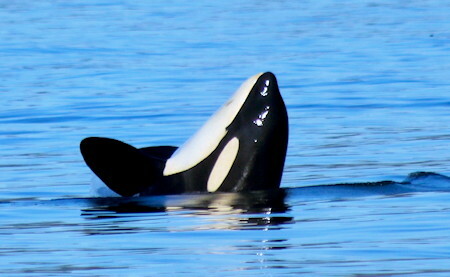 During these months, our resident Killer Whales (Orca) spend much of their time around Victoria and the San Juan Islands feeding on the natural abundance of salmon. You may also get the chance to see Humpback, Grey, or Minke whales depending on the time of year that you join us. Five Star Whale Watching has an extensive spotting network, and their years of experience in locating the whales ensures a very high success rate for their tours. 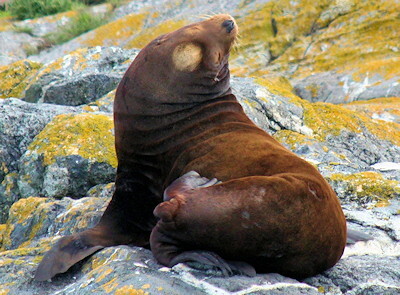 Pacific White Sided Dolphins, Harbour Seals, California Sea Lions, Stellar Sea Lions, and a possible Elephant Seal or two! Located in the world-famous Fairmont Empress Hotel in Victoria, tours with Five Star leave from their office located beside Miniature World. 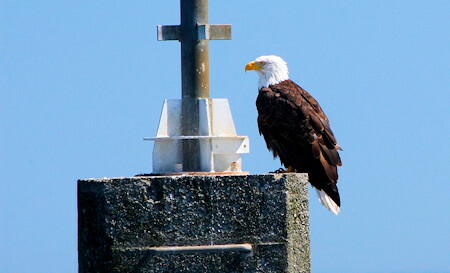 From the inner harbour they head out for the Strait of Juan De Fuca, the gateway to and from the Pacific Ocean. There you will have your first view of the majestic Olympic Mountains of Washington State and maybe even Mount Baker. Five Star Whale Watching will help you to enjoy the rugged and picturesque coastline of Vancouver Island, the stunning beauty of the Southern Gulf Islands and pristine waters such as Haro Strait, as they guide you through an incredible marine eco-adventure where you may also have a chance to visit the impressive Race Rocks Marine Protected Area - or the San Juan Islands. Don't forget to take home some memories of your experience in Victoria, and southern Vancouver Island, on BC's beautiful west coast! Five Star Whale Watching has a gift shop where you can browse through a wide selection of clothing, local artwork, books, memorabilia and much more!